If the Owner makes a loan to the company and it will not be paid back within the year, I know this is a Long Term Liability, but I do not know what to call the account. Also what would be the entry? Just a note ... if you classify the loan as long-term, make sure any personal expenses are not withdrawn from here ... that is why shareholder loans are normally classified as a current liability account ... because shareholder's tend to make multiple withdrawals (and possibly deposits) over the year for personal expenses. I prefer to setup a credit card type account in QuickBooks called ""Owed to Owner" (or you could substitute their actual name). I have the owner submit expense reports with receipts attached to get reimbursed for business expenses made with personal funds. If the owner-manager made cash withdrawals, I would also enter them to this account or if s/he make personal purchases with corporate funds. The owner will have to keep a very close eye on both accounts (if you setup the shareholder loan as long term) to ensure s/he stays in a credit balance. Once the combined accounts move to a debit position, the rules of the game change. If you want to keep the books simple and follow the KISS philosophy, set up the account as a current liability account only. If you go this route, consider ensuring the current liability "Owed to Owner" account is paid back (i.e. the balance is zero) before fiscal year-end each year. How do I post a new loan to a company? How is an unpaid Shareholder's Loan to a Canadian Controlled Private Corporation handled when the Company is dissolved to ensure it qualifies for ABIL? I've only dealt with ABIL once and I had a chartered accountant's help on how to book all the entries ... so I'm not the person to assist you. As this is potentially worth a large tax deduction, I would not go the do-it-yourself route on this one. Book an appointment and have your accountant help you out. i've read that using Bills instead of journal entries is better to use when it comes to entering personal funds used to pay bills. I created a Shareholders Loan Account - Long Term Liability for all bills that my partner and I have paid using our personal funds. Our 3rd shareholder gave us X amount of dollars as a loan. Do I enter that in the same account (shareholders loan account) or because this was a loan and not necessarily an expense, do I need to create a separate long-term liability account? Shareholder Loan accounts are now treated as a current liability. Each shareholder should have their own shareholder account. If the 3rd shareholder made a loan to the company and has no intention of seeking the money paid in the short-term, you could record that loan as long term liability. I would tend to name the account that the 2 shareholders expect reimbursement for "Owed to Shareholder-1, Owed to Shareholder-2" ... just to distinguish it from an actual shareholder loan ... Shareholder Loan-3. 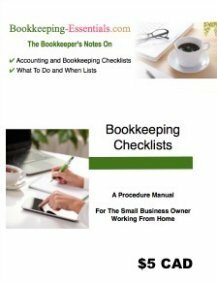 I am a self employed bookkeeper and essentially all of the income earned goes back out to pay personal bills. I was bad. I do not have a separate bank account for personal and business. 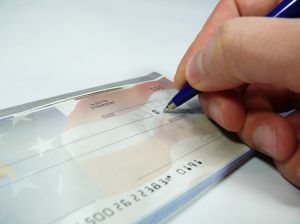 All the income shows being in the bank account of the business but in actual fact, there's isn't much in there at all. (I am getting a business acct today!). I am trying to figure out how to account for the "drawings" I have taken from the business as well as all of the supplies purchased for business use in my QB company file. Would you suggest I show a drawing each month when I get paid by clients and then use the "owed to owner" account for all the supplies, etc that I have purchased for the business? Wow. I'm stunned that you would call yourself a self-employed bookkeeper and don't know the answers on how to "fix" your own books. The lack of care to the administrative details for your business is a big red flag for me. IMHO your books need to reflect what actually happened ... I.E. how the money was actually handled. So if you were paid by a client and deposited the funds into your personal account ... then you need to record the entry to debit "Owner's Draw" or "Owed to Owner" account. If you have business related expenses that you paid from your personal account, then you need to record the expenses with the offsetting credit to "Owner's Contribution" or "Owed to Owner" account. As you said you have no separate business bank account then there should be no bank account in your Chart of Accounts at this time. Take the time to review my CHEAT SHEET so you learn how to think your way through a transaction. If you are closing a business and you have an account → Loan by owner with a balance in it, but the is no money to pay the owner back, is the final journal entry to close out the loan by owner? What happens to a shareholder loan of a corporation that becomes financially insolvent? 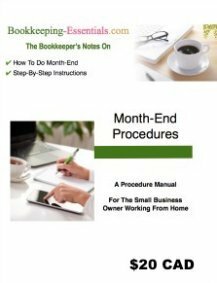 How to record expenses in books when I got the bill in the name of owner but paid by company bank accounts. Please help me to record these expenses. Type in "Owed to Owner" in the search book on the right hand side of this page near the top. You will find a number of posts to assist you in how to post this entry.